West Cheshire Care Records are being introduced to improve the safety and quality of patient care. We would like to make sure that you know what is happening and the choices you have. There are two very different data sharing databases in the country, West Cheshire Summary Care Records and Care.Data. Care.Data is a national scheme implemented by the government which uploads your anonymised medical records to a centralised database. This information is not available to health professionals providing your care, but to universities, pharmaceutical companies and commercial organisations. The aim of this database is so NHS can use this information to get a complete picture of what is happening across health and social care and to plan services according to what works best. The West Cheshire Care Record concerns direct clinical care for you as a patient. The aim of this scheme is to make your clinical information available to doctors and nurses from other providers (in A&E. GP out of hours centres and GP Extended Hours) should the need arise. 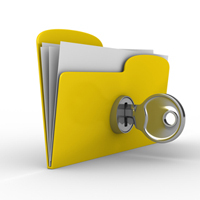 You will still be asked to give permission to access your records by the clinician you see. Your medical records will not be shared with any other provider other than local NHS healthcare professionals. This was introduced to improve the safety and quality of your care. Because the Care Record is an electronic record, it will give healthcare staff faster, easier access to essential information about you, and help to give you safe treatment during an emergency or when your GP surgery is closed. All patients are automatically opted into both of these databases. If you are unhappy for your information to be shared in either of these ways we can provide you with a form to complete on request (se below to download the form or ask for one at reception). If you have any concerns about these schemes feel free to speak to a member of the Patient Services team at the surgery who will be pleased to clarify the issues with you.